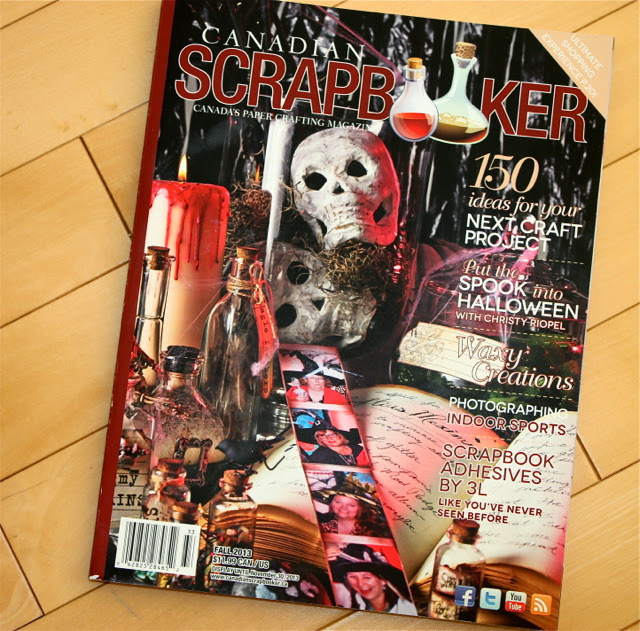 Have you seen the Fall issue of Canadian Scrapbooker magazine? It’s jam-packed with all kinds of crafty goodness. 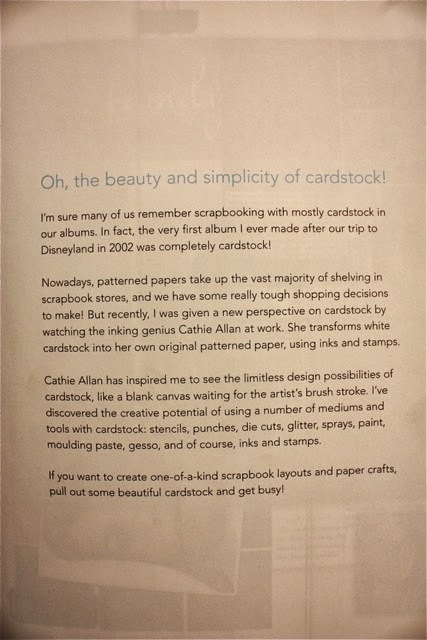 Along with my Double the Fun article, I wrote a piece called “Completely Cardstock” and designed a few projects. 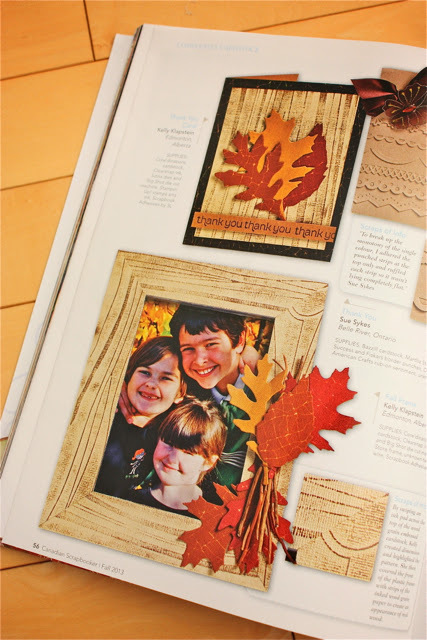 Here is the picture frame and matching card, using Core’dinations wood grain cardstock. 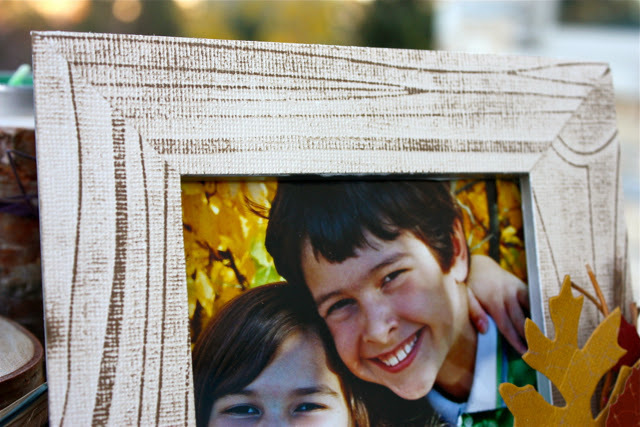 I took an old 5 x 7 picture frame and made my own faux wood grain design with paper and ink. 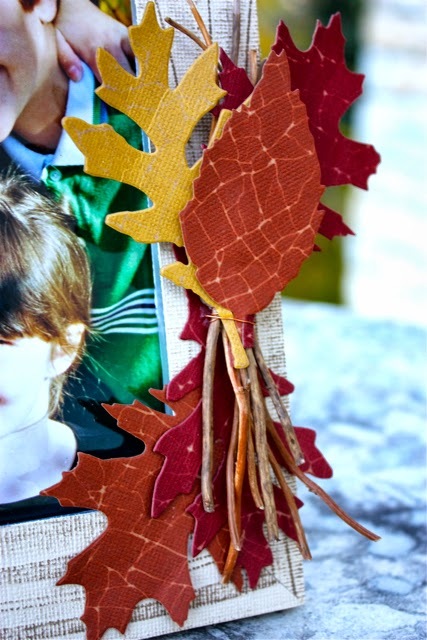 By adding a few Sizzix die cut leaves and twigs from outside, I have a nice piece of Fall decor. 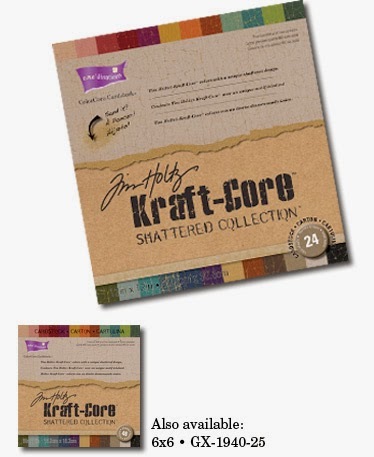 I used the Sizzix “Tattered Leaves” die and Core’dinations Tim Holtz Kraft-Core “Shattered” card stock. I take photos of my kids every Fall, and this year took a lot of begging….more than usual. But I did get a few shots of them. I actually prefer this ‘outtake’ with their cousin. 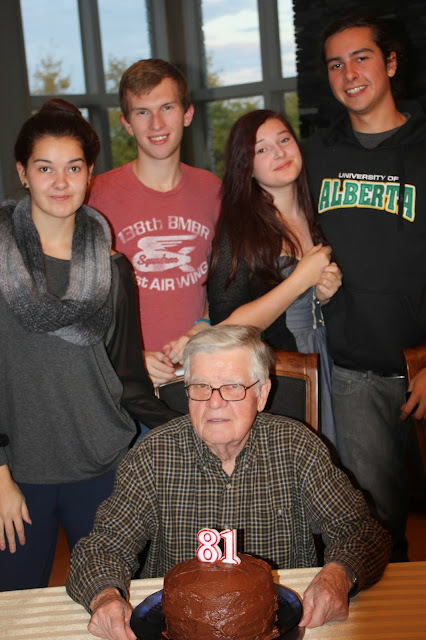 And I was happy to get this nice pic of Opa’s birthday, which we celebrated along with Thanksgiving last weekend. 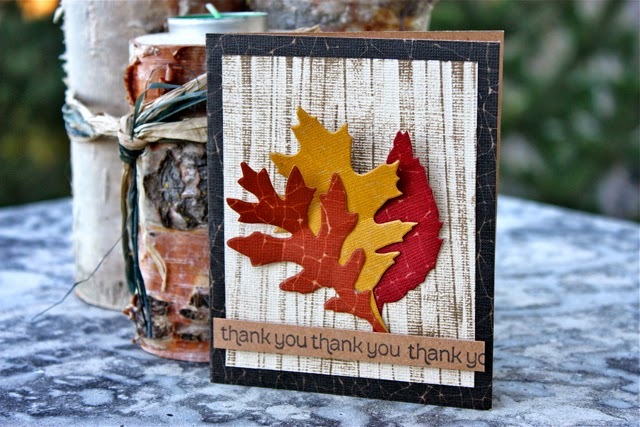 It has been beautiful Fall weather here, with gorgeous temps and the leaves are turning…. 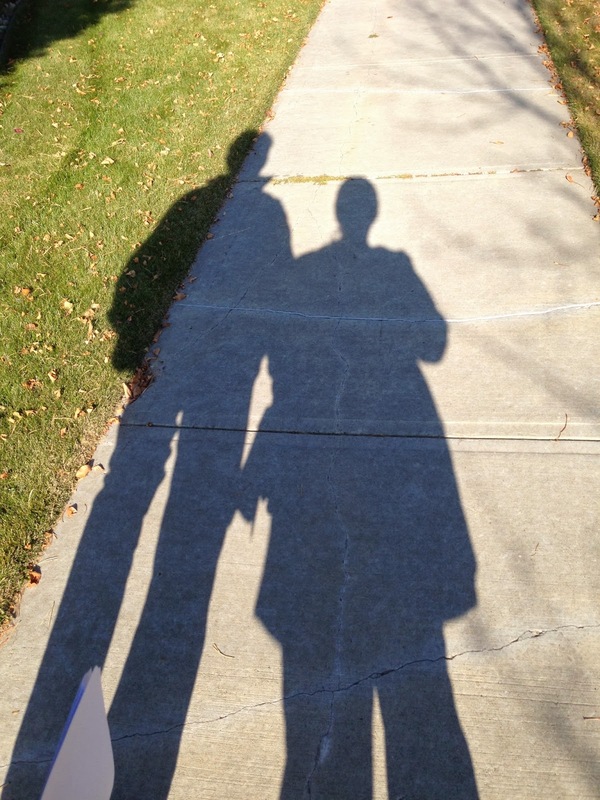 My husband and I went for a walk along the ravine in front of our house. Breathtaking! It’s these quiet moments that make me appreciate the beauty of nature in the Fall. I have to say that I’m very sad to see summer go, but the warmth of this Fall season has made it easier to say good bye to summer. The colours have been magnificent against our bright blue sky, and the days are filled with sunshine. Maybe some day, Autumn will become my favourite season after all. 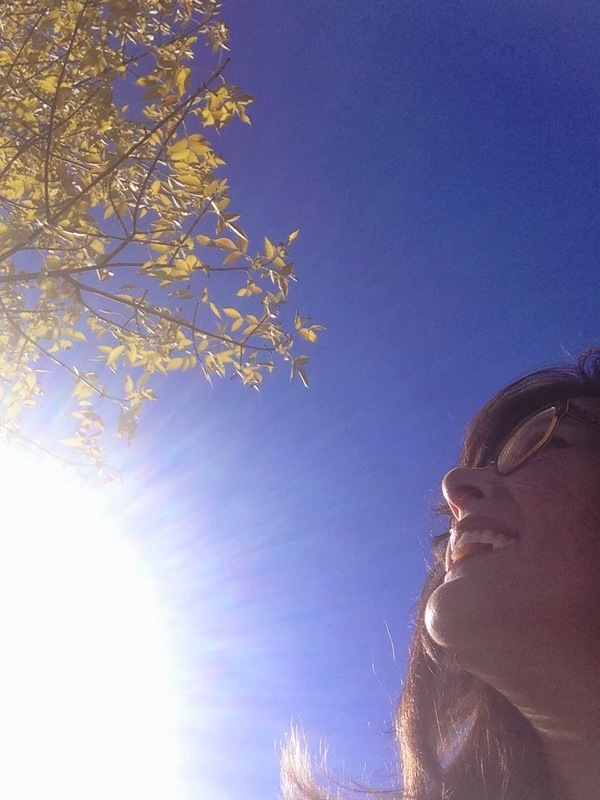 Love your blog post and all your creations BUT especially love that pic of you at the very end. An amazingly talented lady! Wow! Your post is just chocked full of awesomeness. I love love that card. That is inspiring. 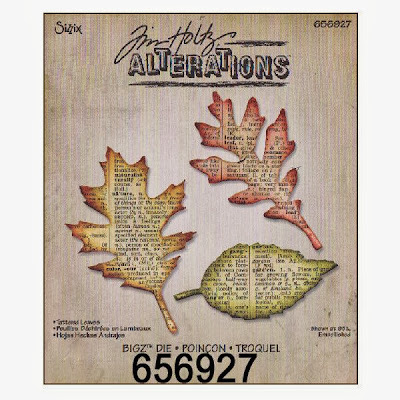 I might actually could make something like that. The frame I adore. I kept studying it because goodness it looked like real wood. That’s so awesome to have articles in a magazine. So well deserved.!!! I love love love family photos. I have to admit it’s getting harder for me to get my boy to pose for me as well. and Wow your autumn pics… blue sky .. it makes me wanna go wander around take pics… we don’t have a lot turning just yet around here .. but seeing your post.. I’m gonna keep a closer eye!! 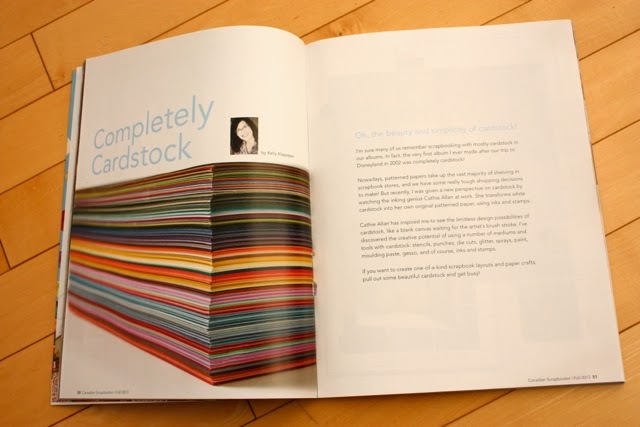 Kelly, I loved all your projects in the magazine! Your one talented lady my friend. Yeah for the kids for taking those photos!! Oh my goodness, Kelly! 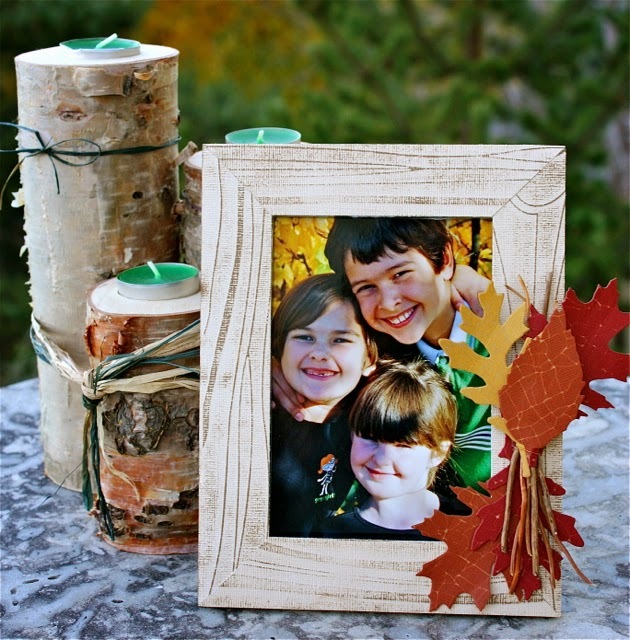 I just love your fall photos! That last one of you, the sun, and the sky is fabulous!!!!! 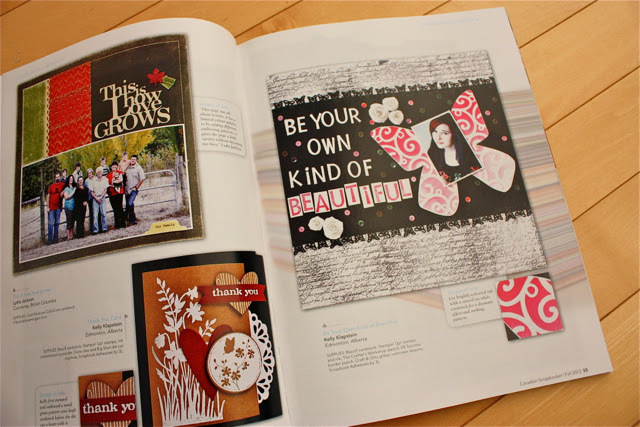 thanks for sharing the magazine and all of your wonderful projects with us, too! Fall is my favorite time of the year!!!! Kelly, this is a wonderful post, so much pretty!